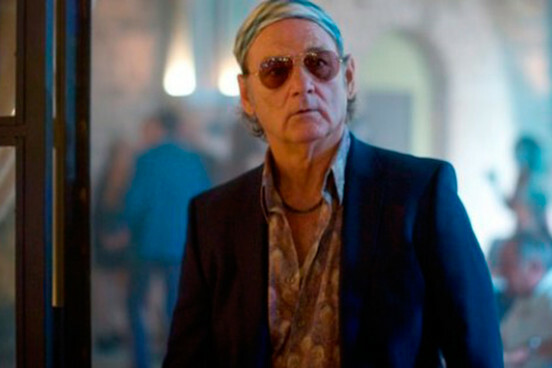 The first trailer for music-themed comedy film Rock The Kasbah has been released - and it features Bill Murray delivering a memorable rendition of Deep Purple's 'Smoke On The Water'. Rock The Kasbah stars Murray as a past-his-prime rock manager who takes his last remaining client to Afghanistan to perform for US troops posted in the war-torn Middle Eastern nation. Once there, he discovers a talented local girl with an impressive singing voice and decides to manage her through Afghanistan's equivalent of American Idol. Barry Levinson (Good Morning, Vietnam, Rain Man) directs and the film's stellar supporting cast includes Bruce Willis, Zooey Deschanel, Kate Hudson, Scott Caan and Taylor Kinney. Rock The Kasbah will open in US cinemas on October 23, though its UK release date has yet to be confirmed. The writer of Rock The Kasbah, Mitch Glazer, also co-wrote Bill Murray's forthcoming Netflix Christmas special, A Very Murray Christmas. Written by Murray, Glazer and Sofia Coppola, who also directs, the special is billed as "an homage to the classic variety show" and features guest appearances from Miley Cyrus, George Clooney, Amy Poehler, Jason Schwartzman and Jenny Lewis, among others. It will premiere on Netflix in all territories this December.